Dr. Jessica Kraker, associate professor of mathematics, joined UW-Eau Claire in 2006. 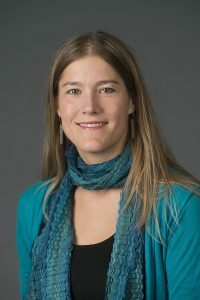 Her education includes a BA in mathematics from University of Minnesota-Morris and a PhD in statistics from University of Minnesota-Twin Cities, for a dissertation involving a wide variety of analyses for high-dimensional data, with a particular focus on penalized regression. Her student-faculty research projects include penalized regression applications, survey analysis, spatial statistics, and Bayesian methods.